Happy New Year everyone! 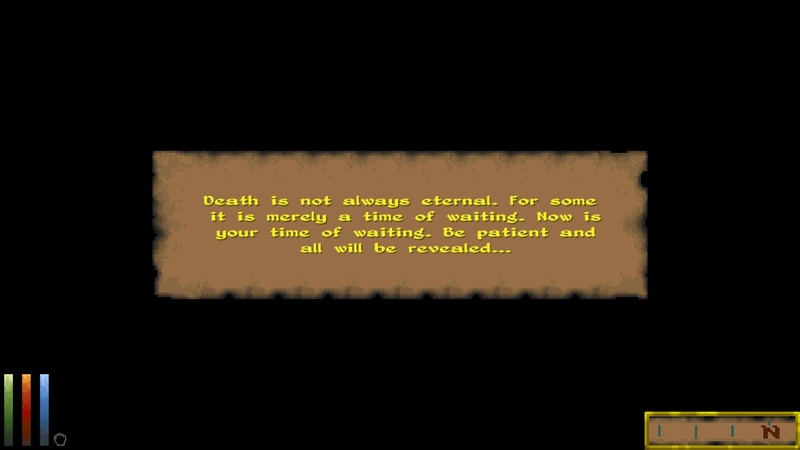 It’s great to be here in 2019 at last. 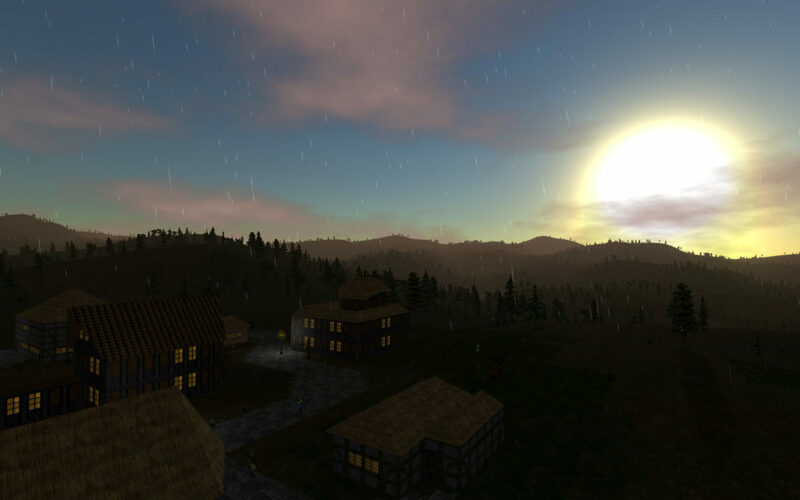 This will be the year that Daggerfall Unity steps out of pre-alpha into alpha, and reaches feature parity with classic Daggerfall. If you haven’t seen the Roadmap page lately, it’s time to take another look. 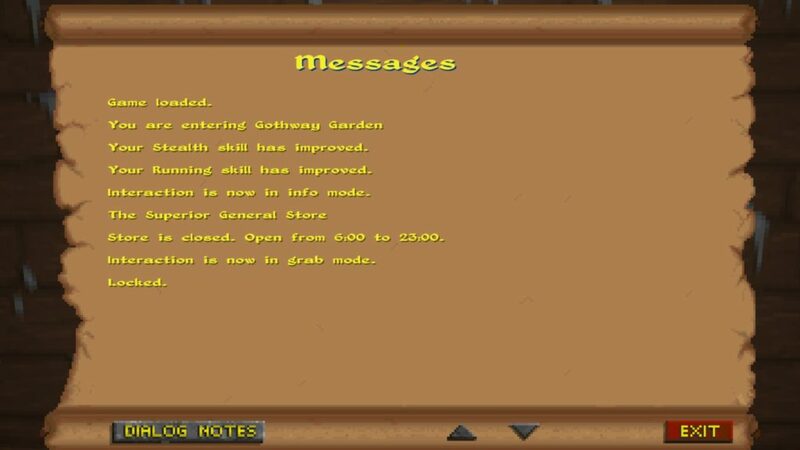 There aren’t too many items left now and no major systems remain to be developed. Everything that’s still to do is just a small part of an otherwise finished system. Even the Quest System and Effect System roadmap pages are looking very green these days. With a busy end to 2018, I didn’t make time to put up change notes for the Live Builds released on 20 December 2018. I think its a good idea to address these changes before dropping the next release, or solid contributions from our developers aren’t going properly credited. Let’s start with the highlights of new features from 0.6.1 Stable and 0.7.2 builds. I’ve tagged anything introduced in 0.7.2 with [0.7]. Upgrades to the optional Advanced Climbing system allows skilled climbers to hang from ceilings and eaves, and climb around on ceilings. 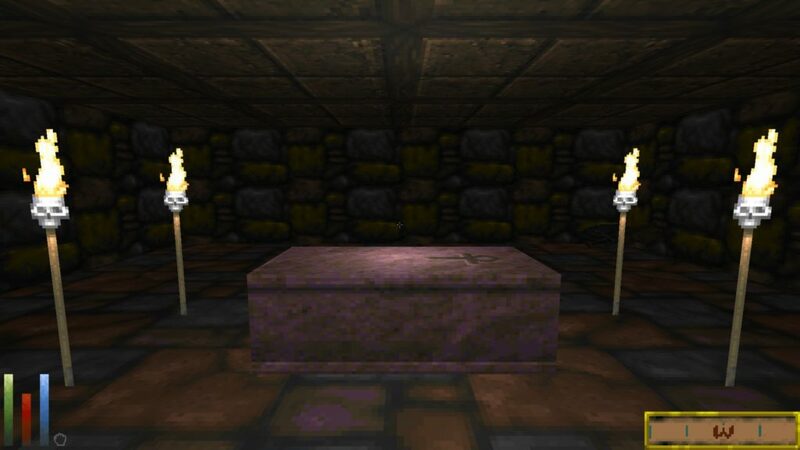 This rounds out the other Advanced Climbing features such as sideways movement on walls and climbing around corners. Enemy mobiles have learned a few new tricks, and it’s a bit harder to trap them on the environment now. In addition to moving around static and dynamic obstacles, they’re smart enough not to walk off high places. While this isn’t perfect yet, it’s still a big improvement over classic AI. 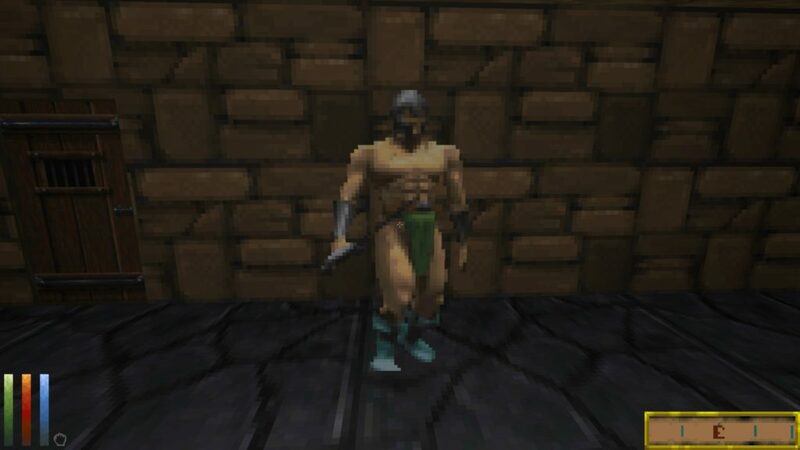 In other news, enemy AI is now capable of bashing open locked doors to reach the player! 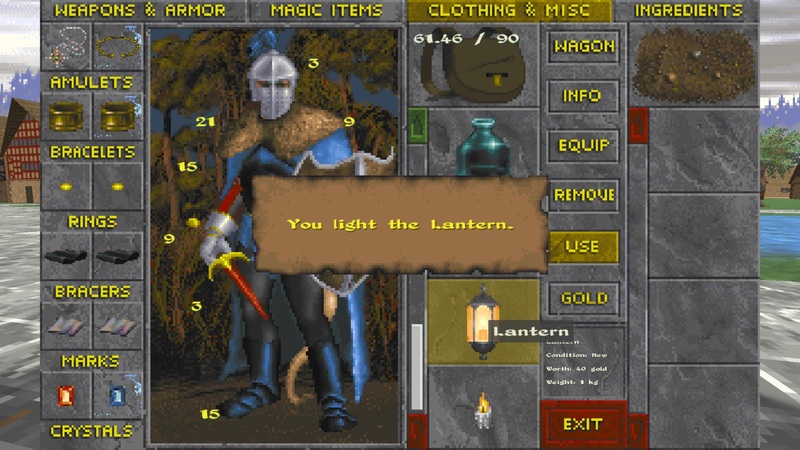 If you enable “item based player torch” in startup settings > Advanced > Enhancements, you can finally make use of those lanterns, torches, and candles in General Stores. Lanterns and torches can be refuelled using oil, also found in General Stores. If you make dungeons darker with the ambient light settings on the same Enhancements page, this adds a nice RP touch to dungeon delving. 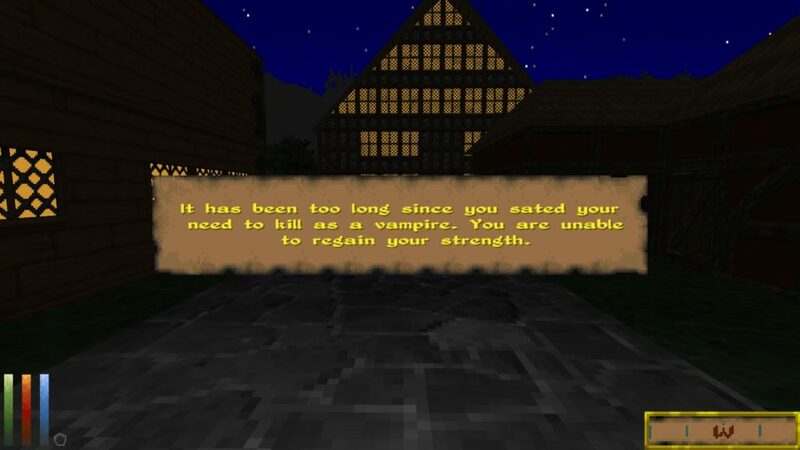 It can be quite tense knowing you’re running out of lantern oil and about to be lost in the dark. This is a big one! 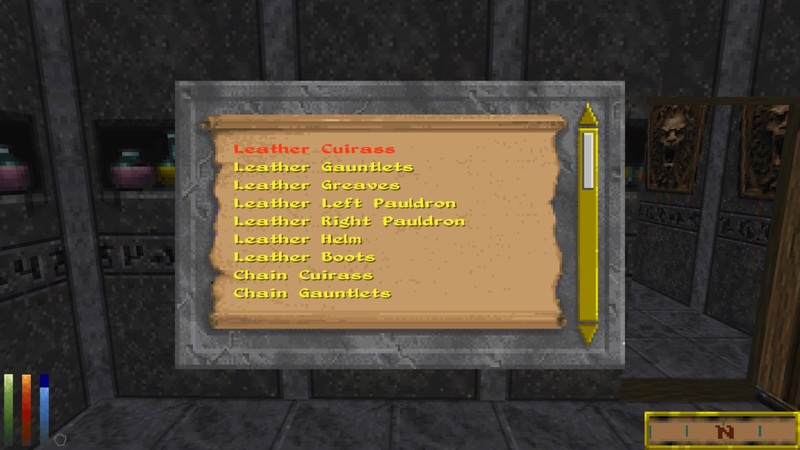 All potion recipes and effects are now supported in game, along with the crafting UI to make them. 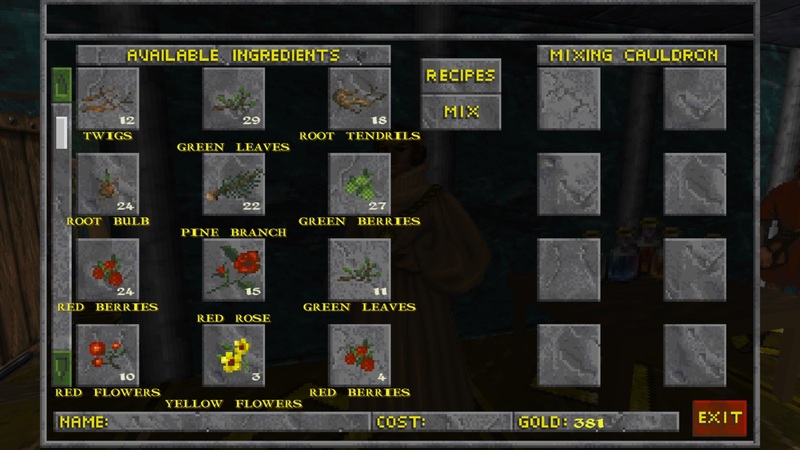 As a Daggerfall Unity quality of life feature, like-kind potion will stack. 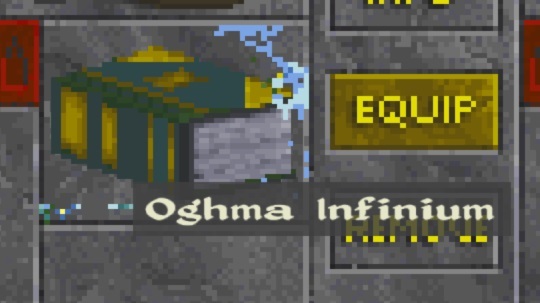 All the way back in September, I upgraded font rendering in Daggerfall Unity to support Signed Distance Field (SDF) fonts. 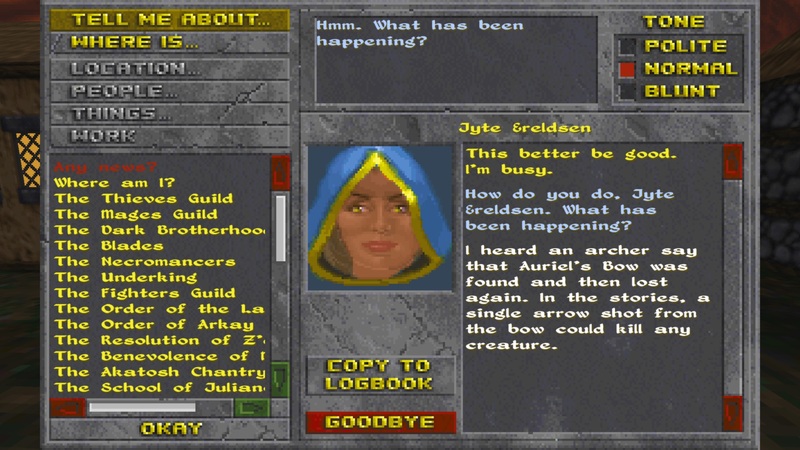 This enabled smooth high-resolution font replacements which can operate under the same “layout rules” as classic Daggerfall’s pixel fonts, with a substantial improvement to reading comfort as this comparison screenshot demonstrates. Rather than storing individual display pixels of a text glpyh, SDF fonts store a distance value that can be turned into display pixels later at any resolution using a custom graphics shader. Unlike regular pixel fonts that become quite pixelated at high resolutions, SDF text can use those distance values to generate sharp detail even at UHD resolutions and beyond. If you’re interested in the inner workings of Signed Distance Fields, there are loads of great resources out on the web. 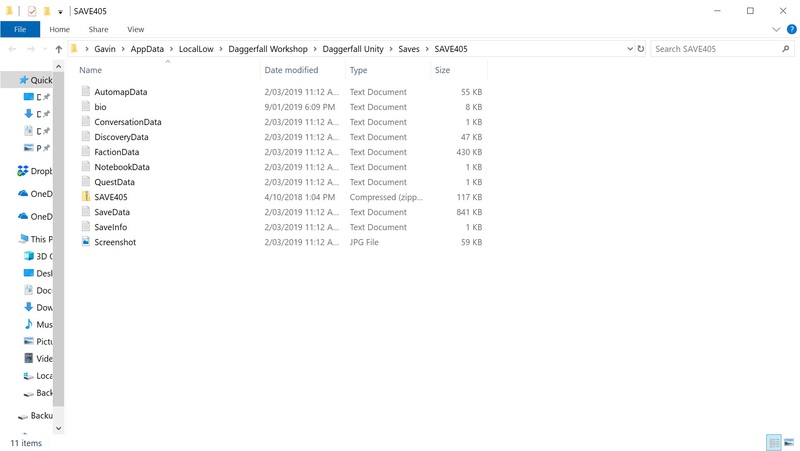 This tutorial doesn’t look very deeply at SDF concepts, only the process of creating new SDF fonts for Daggerfall Unity. There are a few resources you will need to work through this tutorial. You can use whatever font or tools you like to generate your SDF font atlas. 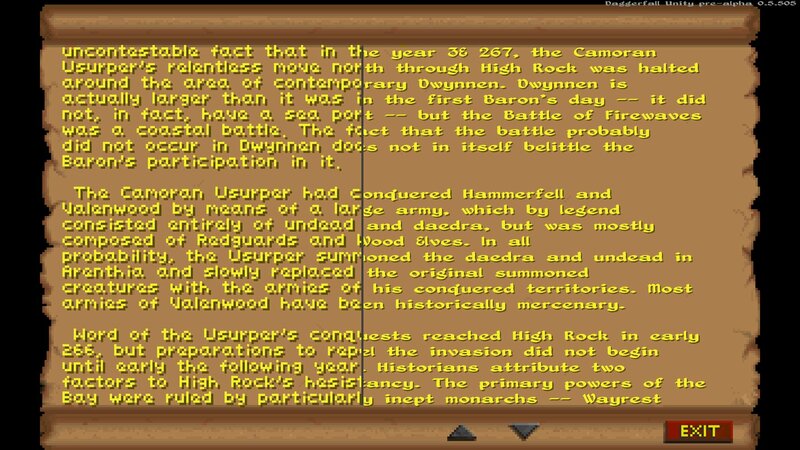 This is just the process I’m using that will generate known-good output for Daggerfall Unity. If you do use a different toolchain, the only thing that matters is the output image is a proper SDF texture and the glyphs are laid out in a specific way. To cap off a great month of progress, we have one more round of builds for October. This was going to be a solely bug-fix build, but amazing work kept on rolling in and I’ve decided to get these new features out to you now rather than wait until November. 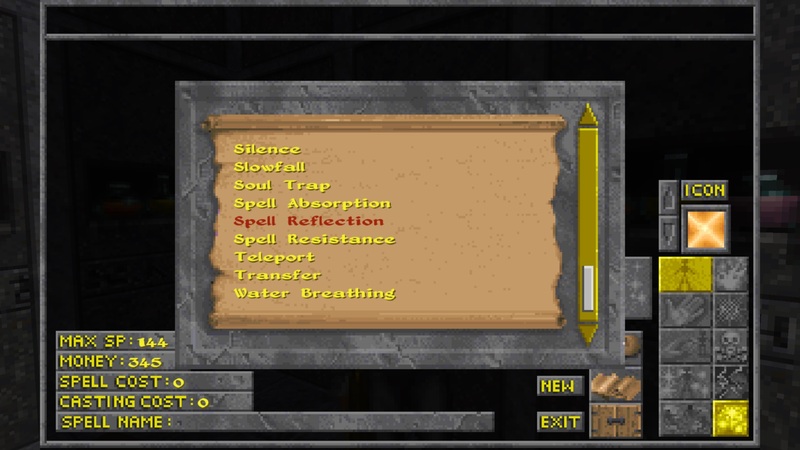 Building on top of my work on the magic & effect system, Allofich has wired up foes to hurl spells back at the player. 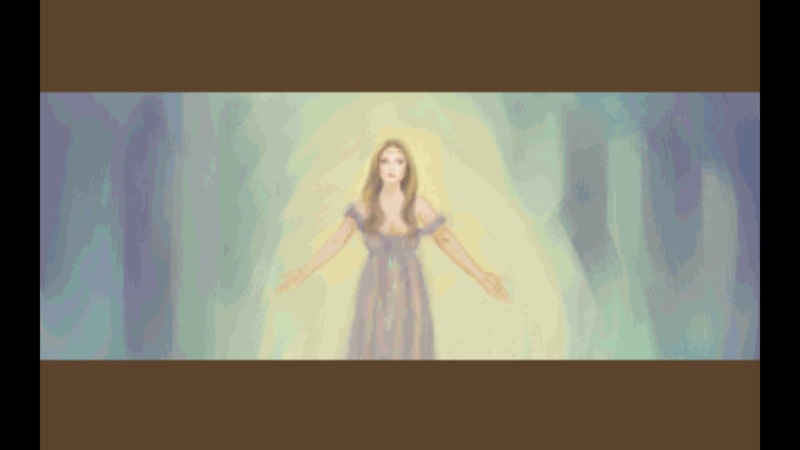 This means ancient liches and vampires are serious threats again, imps are more than just a nuisance, and scorpions and spiders will just wreck your happy feelings with paralysis. 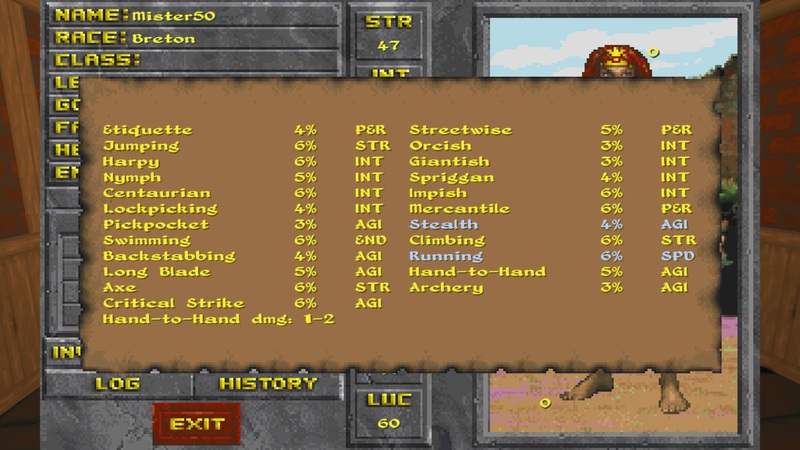 A lot of work was required in enemy AI to select spells based on touch or range. 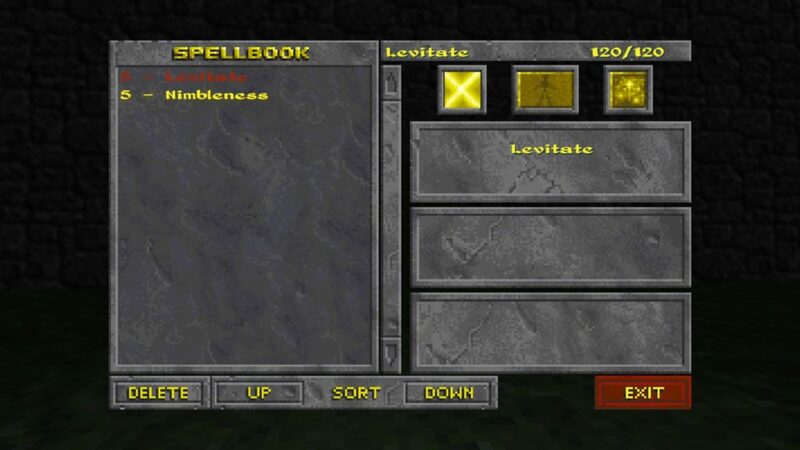 Enemies might stand their ground and hurl a fireball, or approach and attack player with a touch spell. And unlike in classic where the monster’s entire payload of spells are released instantly, they now make more intelligent decisions and release spells at sensible casting intervals. I can’t put into words just how amazing Allofich’s work on this has been. Magic in Daggerfall Unity suddenly doesn’t feel quite so one-sided, and magical encounters have become very dangerous again. 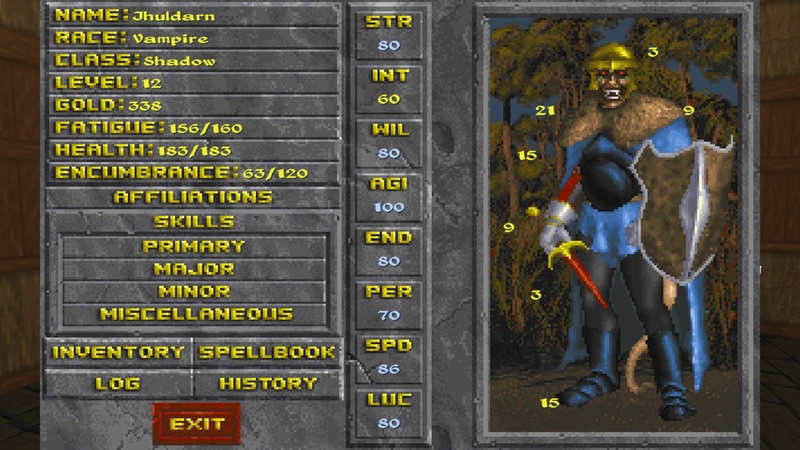 Here’s a short video where I pick a fight with some denizens of Mannimarco’s lair. Everything goes about as well as expected.